Submitted by headley on November 21, 2018. 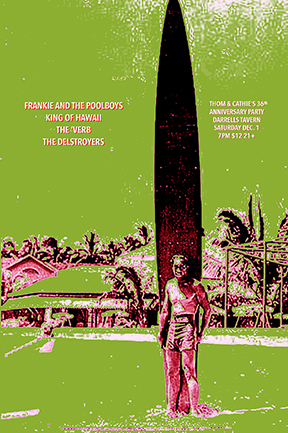 Join us as we welcome Frankie and the Poolboys, King of Hawaii, The Delstroyers and The Margraves. Doors open early so we can enjoy a full set from all 4 bands.